If you decide you are going to buy and use Mitragyna Speciosa, there are a few things you will want to know. On top of the fact that there are hundreds of different strains stemming from the variety and region in which they are grown, there are multiple ways to actually use the plant. We are going to talk about a few common methods in which kratom is consumed that you may find beneficial. Hundreds of years ago and even in some cases recent time, Mitragyna Speciosa has just been chewed in full leaf form by Southeast Asian natives. Kratom in its natural state can produce the same effects that these new Western techniques can. The problem is that there are better methods to use the plant to get the most potential out of your product. To begin, we will talk about the raw form..or at least the least processed form; Kratom Leaves. We have already talked about chewing kratom leaves in their raw form. Unfortunately, most of the time you will not be able to find fresh full leaves on the internet since these products are shipped all of the way from Southeast Asia. You will find dried kratom leaves though. Typically, this is an unprocessed as you find will and is the most versatile depending what you want to do with your Mitragyna Speciosa. Kratom leaf is great because you know there has not been any alternations and you can do as you please. Those who buy the leaf form online will usually crush it into powder to make capsules or stuff it in teabags to make kratom tea. The second most common form that you will see available for purchase online is kratom powder. Like the leaf form, there is an abundance of uses that the powder has. You can easily convert powder into capsules and can simply mix it up in your favorite beverage. If you are a diary lover, we even have a great recipe for a kratom tea milkshake which masks most of the unpleasant flavor of the plant. Kratom capsules are probably our favorite way to use Mitragyna Speciosa. Capsule form makes for easy consumption and easy dosing being that each capsule contains roughly 0.5 grams of the plant. Being that kratom's potency can change so drastically from each supply it is important not to over consume. Check out our dosage guide to get an idea of what range you may want to take to get the effect you most desire. For many of you that don't have access to a capsule maker and sit at home with the leaf form we wanted to provide a guide on how to take kratom. If you are not brewing a tea or crushing into powder, kratom is best taken using the "Toss & Wash" method. Although there are recipes and methods to make the plant taste better, most users complain that the plant's taste are fairly bitter and unpleasant. We will tell you how to minimize and even eliminate any negativity associated with taking kratom. Step 1: Fill a small glass (approximately 2 pints) about a quarter full of water (for an average dose, if you take high doses you may need a bit more water). Step 3: Try to eliminate any excess saliva in your mouth. 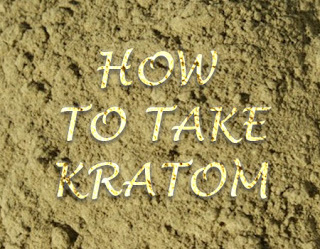 Place first pile of kratom onto the middle to back side of your tongue. Step 4: Quickly drink your quarter glass of water letting the kratom leaf hit the back of your throat and swallow. Step 5: Repeat for each 3.5 gram of pile that you have. If you follow these steps, you will eliminate most of the bitter taste that most experience when taking kratom. Once you become proficient at this technique, you should have close to zero taste of the plant. Even though the leaf is on your tongue, you will not sense the flavor on your taste buds until mixed with saliva or water. By effectively letting the water wash the plant material to the back of your throat, you should have little to no taste. This is just one method when using kratom it its leaf form. That natural taste of Mitragyna Speciosa is quite unpleasant, but there are plenty of ways to get it to reach its potential. Camellia sinesis (the evergreen shrub used for centuries to make tea) is bitter as well before being brewed. 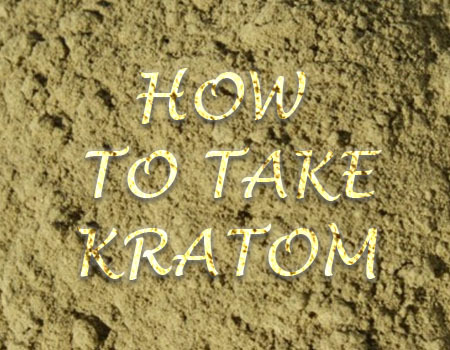 If you want a more enjoyable method of consumption be sure to check out our recipes or methods on how to use kratom!